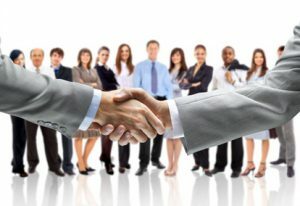 Jobs	» Adzuna.ca blog	» Networking	» Business Relationships: Why You Need Strong Ones! It’s a dog eat dog world out there especially in the professional world where friendly colleagues could stab you in the back to get ahead. As often as this happens and as cutthroat as some people are, this is not the way to advance your career. In fact, exactly the opposite. Building a strong network of awesome business relationships is far more valuable. The best relationships do not happen overnight and sometimes can take years to build and foster. Here are just a few tips to help build a lasting and beneficial business relationship. Whether it’s dating or building a business relationship, so much of how we communicate today started online. Start by sending a personal email to the person you’re interested in connecting with. Explain who you are and what you do. A great tip is to throw in a couple of well-placed compliments about their career or company. People love to be flattered and then will be more inclined to take a moment out from their busy day to meet you for a coffee. and don’t hesitate to tell the person what you like about his or her company. Yes, here it is again. We can’t advocate it enough. The more you network the better. Search in your city for local networking events relevant to your career such as business brunches, conferences, and talks. While online relationships serve their purpose, personal, face-to-face relationships in your local community are second to none. The more frequently you go the more often you’ll start to see the same faces again and again. You swap war stories, the trials and tribulations of the workplace, share in each other’s successes and failures find the support you never knew existed. Time is precious and professionals are busy people. Don’t get offended if your emails or phone calls are not answered immediately. Sometimes your email is not a priority and will slip to the bottom of the pile. One great tip for building business relationships is to always take time to follow-up. Even if you’re incredibly busy, just a short email of acknowledgment goes a long way. Simply stick to the point and let them know you’d like to speak.